Google Flights is an airline search engine that allows users to input their travel plans and get a detailed list of all the flight options for their inquiry. Users can find many details on Google Flights, but the most common use for the search engine is finding the cheapest prices for airline tickets. Read on to learn the best practices for using Google Flights. Go directly to the Google Flights web address at https://www.google.com/flights, or search your location and destination in a browser. For example, if you live in New York City and want to travel to Los Angeles, simply enter "NYC to Los Angeles" into Google and a Google Flights widget will appear as the first search results option. Select the available link from there to access the full webpage. Input your location, destination, and ideal travel dates, then select search or press return/enter. Google Flights will immediately begin showing the latest pricing information. Pull up Google Flights or search for your location and destination in an incognito mode or private mode browser. This prevents the browser from saving your search in cookies and applying unnecessary price increases after detecting you're in the market for airline tickets. Google Flights shows departing flights first in its search results, as well as the cheapest prices for the shortest distance. Further down the page are cheaper options, followed by more expensive options. Cheapest options are below the best options for this search. Prices for the absolute cheapest flights will show in green. Keep in mind these options may be discounted due to having several layovers or very long layovers. From the Google Flights homepage, you can view the Flight insights page, which shows alternate departure dates that have cheaper prices. The preview will show you the cheapest price available, and pulling up the calendar with reveal pricing details for the most immediate travel dates, typically between two to three weeks of the original inquiry. Select a new date if you find a better option and select the X to close the window. Flight details for the new dates will be available below. Flight Insights lets you know when there are cheaper flights on other dates. Google Flights price graph can help you determine if you should purchase your tickets immediately or wait until later. Select Google Flights' price graph to get an estimate of what prices will look like several weeks to months before or after your flight inquiry; use the arrows on the right to view prices ahead of or beyond the dates you've selected. If your dates are flexible, you may find much cheaper prices during a different timeframe. Google Flights price graph gives a snapshot of when prices may increase or decrease over several weeks and months. 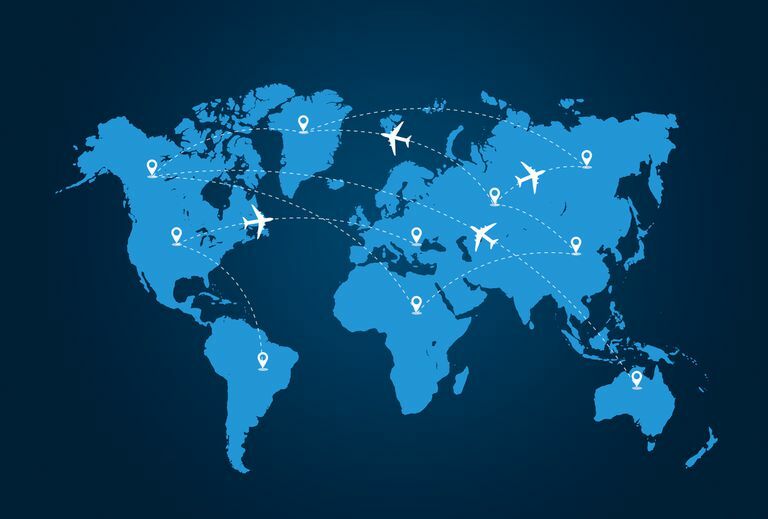 Selecting an airport in a nearby location can also bring down the price of airline tickets. On the Flight Insights page, Google Flights will show if there are any price deals for both location and destination flights in the departing flights section, which will vary depending on the trip. Flying from a different airport can make flight prices cheaper. Google Flights shows the options available. After selecting a departing flight, Google Flights will then show options for returning flights. The price of the cheapest option will be highlighted in green. Select that option to lock in the price. Flight prices are bundled together, including taxes and fees. If you're comfortable with your travel plans but not yet ready to book your flight, you can send the flight details to yourself or another person so you won't have to search for the same details again. This can also help you lock in that specific price for a limited time. On the summary page, select Send To Yourself and Google will automatically send you an itinerary email. Make sure you're signed into your Google account before selecting this option. Confirm your flight details before purchasing. Sharing options including email, Facebook, Twitter, or a link to copy and paste to send the details to another person. Sometimes it's a good idea to wait a few days to see if prices on Google Flights will fluctuate to your benefit. Google Flights can send you real-time alerts and emails when flight prices change, or you can return to Google Flights at a later time to view any price changes. Use flight tracker to monitor the price of your tickets before and after purchasing. On the summary page, enable Track prices for your trip. Use this in tandem with the price graph to find an ideal price in real time. You must be signed into your Google account to see this option on the summary page. If you purchase your tickets with the price tracker option enabled and the price later decreases, you may be able to be reimbursed with credits for the difference of the price. If you want to travel but don't have any specific plans in mind, Google Flights can help you select a destination. There are several suggested locations available on the Google Flights homepage. You can also select Explore Destinations to see the cheapest prices for trips around the world. Selecting this shows a map with current flight prices for several locations. As you move the map around, details for flight prices in nearby locations will update in the scrollbar menu on the left side of the page. After selecting a location, Google Flights will take you to the page where you can select your flights.